We've worked hard to ensure our yellow Asha emeralds are the most natural looking Canary yellow diamond simulants available. Combining a pure even yellow saturation pink along with our highly regarded diamond-infusion process, the result is a yellow that stands apart. 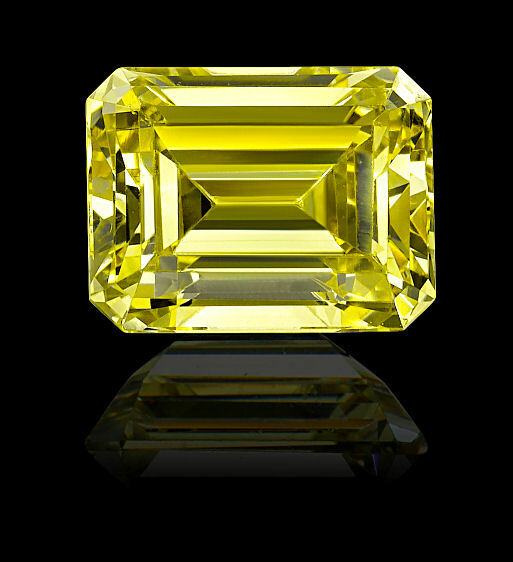 Fast shipping: Our fancy yellow emeralds ship in diamond paper packaging, and usually ship within 48 hours of your order. We will email you the UPS tracking number when it ships, and 2 day UPS shipping is free for orders over $200.